Phillips, David. "January Thaw". The Canadian Encyclopedia, 15 December 2013, Historica Canada. https://www.thecanadianencyclopedia.ca/en/article/january-thaw. Accessed 23 April 2019. January thaw, or bonspiel thaw as it is called on the Prairies, is a climatic phenomenon of unseasonably warm weather that tends to occur at about the same time every year, usually within about 10 days after the middle of January. January thaw, or bonspiel thaw as it is called on the Prairies, is a climatic phenomenon of unseasonably warm weather that tends to occur at about the same time every year, usually within about 10 days after the middle of January. Generally, the January thaw is gradual and temporary, lasting anywhere from a few hours to a week. Specifically, a &QUOT;pronounced thaw&QUOT; consists of at least 2 consecutive days with a maximum temperature of 2° C or more. 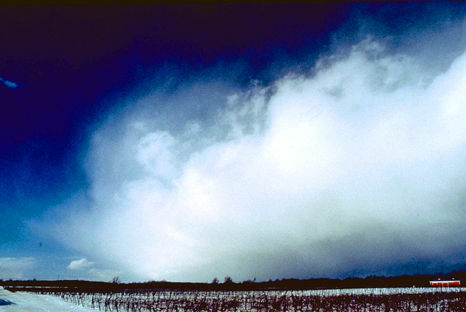 Though the midwinter upsurge in temperature appears consistent enough, the phenomenon is not recognized as real - it is what meteorologists call a &QUOT;singularity.&QUOT; A singularity is an annual weather episode, usually an anomalous departure, that reoccurs at roughly the same time every year in a majority of years. It is not fully recognized as real because even the most pronounced singularity occurs in little more than half of all the years, although its frequency is greater than that expected by chance alone, and few plausible explanations can be advanced for its occurrence. A pronounced January thaw does not appear every year, especially if one looks for it during the third or fourth week of January. For example, only about 40% of Januaries in Ottawa and about 80% in Halifax experience such a thaw. If one accepts the definition as any time a thawing temperature occurs in January, then the &QUOT;thaw&QUOT; is almost without chance, at least in Eastern Canada. For example, Toronto only once in 150 Januaries has had no thaw period, whereas Halifax has never had a thawless January. On the other hand, Winnipeg experiences a January thaw in slightly more than half of the years and a pronounced thaw in fewer than a quarter of them. January thawing progresses later in the month as one travels eastward across Canada - eg, January 16-23 in Edmonton, 18-24 in Winnipeg, 19-27 in Montréal, 21-28 in Charlottetown and 25-28 in St John's. This eastward progression of warming during the third and fourth weeks is consistent with similar events in the US. Significant thaws might typically last from 2 or 3 days to a week, but rarely longer. In Vancouver, it is a different story: along the Pacific coast, they last a full month in most years. Another characteristic of the January thaw is its tendency to start gradually with an upsurge in temperature over several days but to end with a relatively sudden drop to much below normal readings. Often accompanying the extremely cold air are gale-force northerly winds and a snowfall. More often than not, the end of the thaw heralds the arrival of the lowest temperatures of the winter. The causes of the January thaw are known. General atmospheric circulation becomes more westerly, or even southwesterly, and mild Pacific air spreads eastward across Canada. The stronger-than-normal westerlies in midlatitudes tend to confine Arctic air northward and favour the intrusion of warm, humid air from the subtropics into the eastern US and Canada. Although the westerly flow may last several days, it inevitably shifts to northwesterly, again allowing cold outbreaks of Arctic air to stream southward and eastward. Still a mystery, though, is why this phenomenon occurs when it does. Some researchers offer statistical evidence for a relationship between January thaws and sunspot activity. 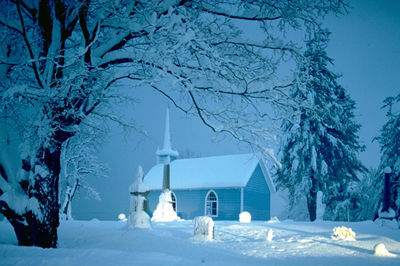 Others attribute the warming spell to a large-scale readjustment of the atmosphere from an early-winter to a late-winter stage.